If you haven’t already done so and the campus is nearby, visit the campus. A campus visit reveals far more about a college than any website will. Go through the college’s website with a fine toothed comb. Read between the lines to learn about the college’s atmosphere and values. Look over the school newspaper (most are available online). The school paper often offers a glimpse of campus life and available activities. Access the course catalogue (if not available online, most schools will gladly provide one). If the school doesn’t offer interesting courses, you probably don’t want to attend. Check out online reviews from other students. Some sites to start with include: The University Review, CollegeTimes, Unigo, College Prowler, and Students Review. Contact the admissions officers with any unanswered questions. People who work for the college may be biased, but they also know more about the school than anyone else. Once you’re fully informed, it’s decision time. Choosing which college to attend is the first major life decision most students make – it’s a harrowing, terrifying, and exciting experience. Many students are tempted to make this decision purely based on emotion (i.e. “I got into my dream school! It’s expensive, but who cares?”), but this decision must be made in a logical and thoughtful manner. If your child is still stuck, go with his gut. Your child will spend roughly 4 years living and studying at this school – ultimately, it is your child who will have to decide what is right for him. Send your Statement of Intent to Register and your deposit to your chosen college. Make sure to re-read all the materials that came from the colleges so that you submit every required document! Notify the other colleges that you will not be attending. Many schools will already have sent a form that essentially asks you to “check yes or no” – if so, simply submit that form. If there was no form, notify the colleges in writing. 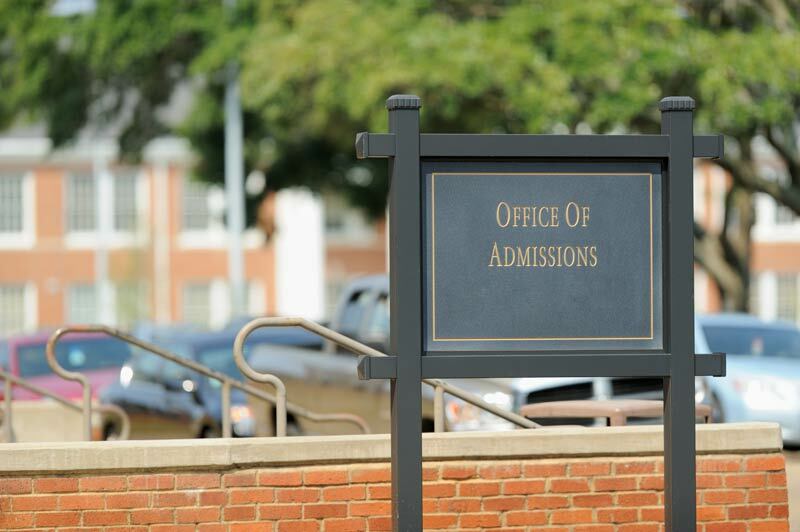 Don’t feel obligated to include an explanation – a brief note stating that you have carefully weighed your options and decided to attend another school will suffice. Notifying your reject colleges might seem like a massive waste of time, but it’s the polite thing to do. There are hundreds (if not thousands) of other students on the wait list, and by notifying the college that you will not attend, you open your spot to another student. Review any and all paperwork your college has sent. Make note of any additional applications and deadlines (such as housing applications). Check to see whether the college requests a final transcript, immunization documents, or other documentation and submit the appropriate documents in a time manner. Once all of this has been finished, you can breathe a sigh of relief – the long and arduous road to college admission is FINALLY done! And what about those students with the opposite problem – the ones who didn’t receive any offers for admission? Check back next week for advice. Why A Messy Bedroom Might Do Lasting Harm A Sanitized Childhood: Do Millennials Fear Failure?